ALLURING SOUTHERN OASIS!! 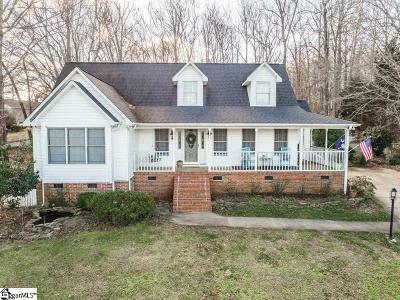 In the heart of Greer, across the street from Lake Robinson lies a traditional three bedroom, two bath beauty on just under an acre with a BRAND NEW hot water heater! Step off of the wrap around porch and into the front door mesmerized with the two story foyer. From the stunning hardwood floors to the high, vaulted ceilings immediately be immersed in charm, elegance, and comfort. Lead family and friends into the living room and immediately be surrounded by natural light and style. High vaulted ceilings, floor to ceiling windows overlooking the back yard, and stone fireplace with gas logs will warm and soothe, creating an ambiance of peace, perfect for good conversation, movie night, watching the game or curling up with a good book. The kitchen awaits complete with stunning countertops, beautiful wood cabinetry, and large center island perfect for preparing culinary delights. Whether festive feasts or tasty treats are on the menu, cooking masterpieces are sure to be created. When the mouthwatering delights are ready to be served, head into the dining room where the skylight, decorative molding, and stunning mountain and lake views provide an amazing backdrop for any occasion. When the day is done and it is time to retire for the evening, head into the master suite where lush carpeting and ceiling fan await, and oversized furniture will fit with ease. The en suite master bath where hardwood floors, large vanity, and garden tub await to recharge from a long day, or help prepare for the coming day&apos;s adventures. Two more bedrooms and additional full bath are sure to delight family and friends and provide privacy, comfort, and relaxation. Upstairs lies a surprise bonus room/loft, perfect for game room, craft space, office, or study. Out back, a stone patio, perfect for a grill is ready to entertain and leads to the fenced in back yard, ready to accommodate those fur babies. 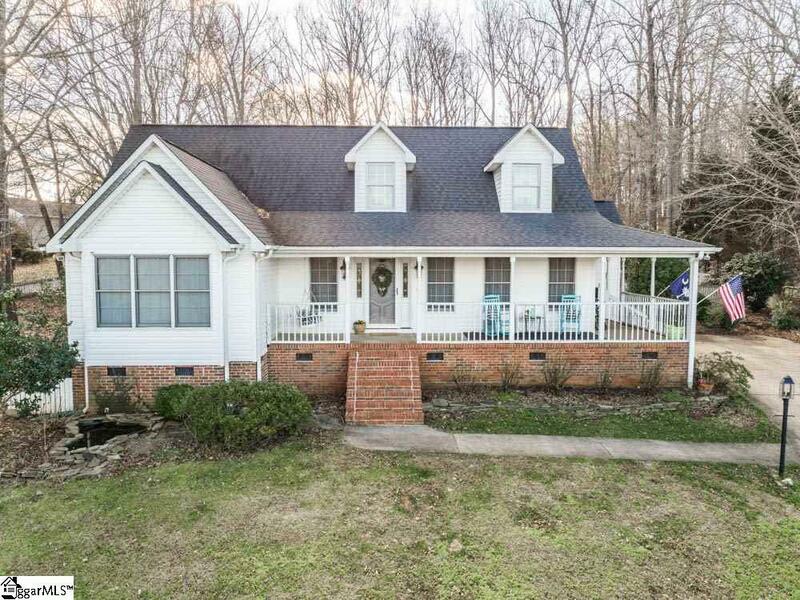 Delight in the wrap around porch, mountain and lake views!! Schedule a personal showing today!! !